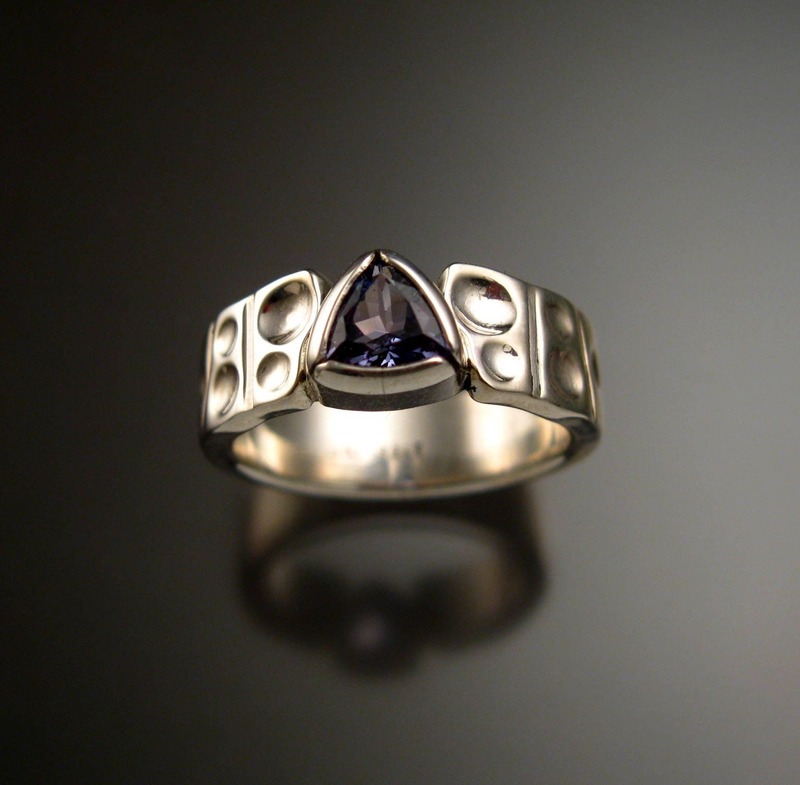 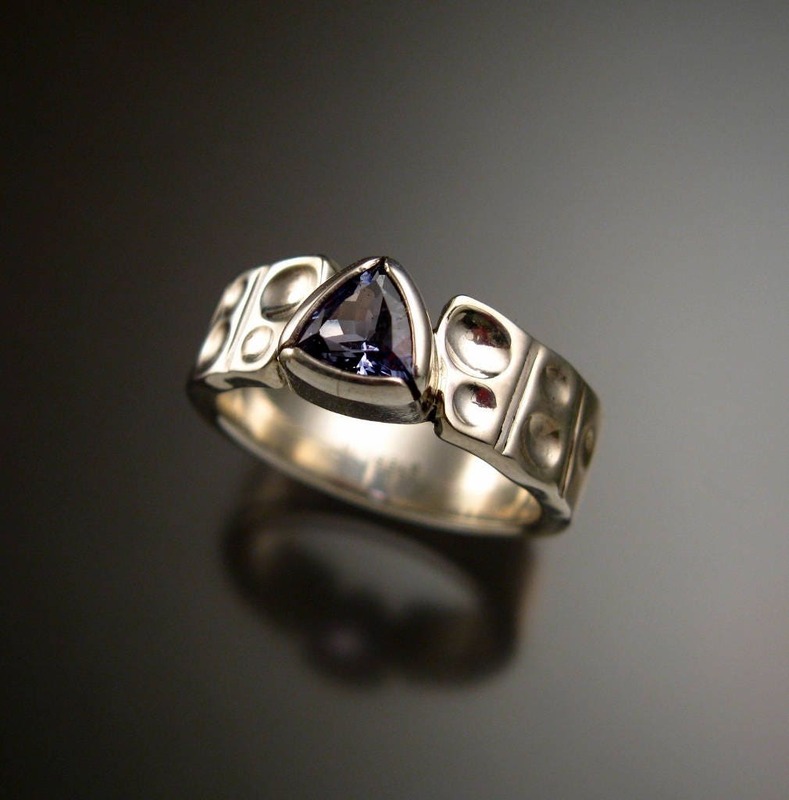 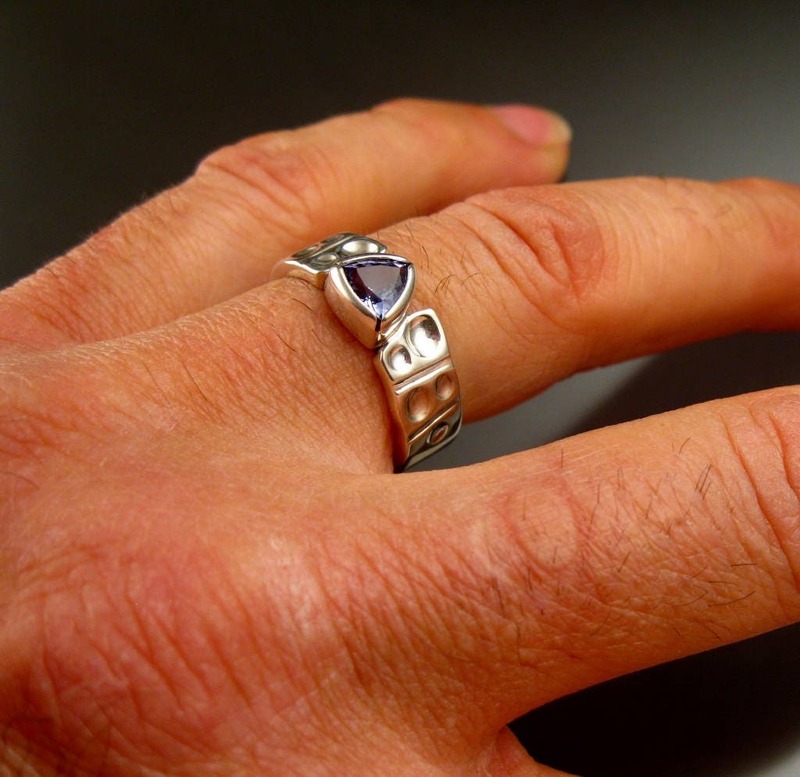 This 6 mm Tanzanite triangle is bezel-set with hand stamped "Moonscape" band. 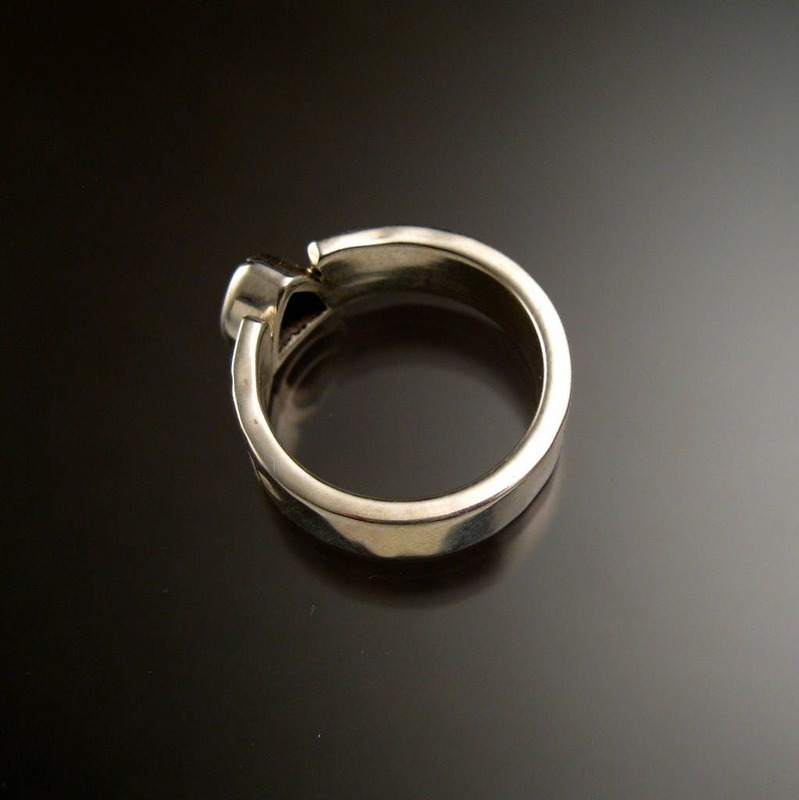 Band measures 2mm thick and 7mm wide at the top tapering down to 5mm at the bottom. 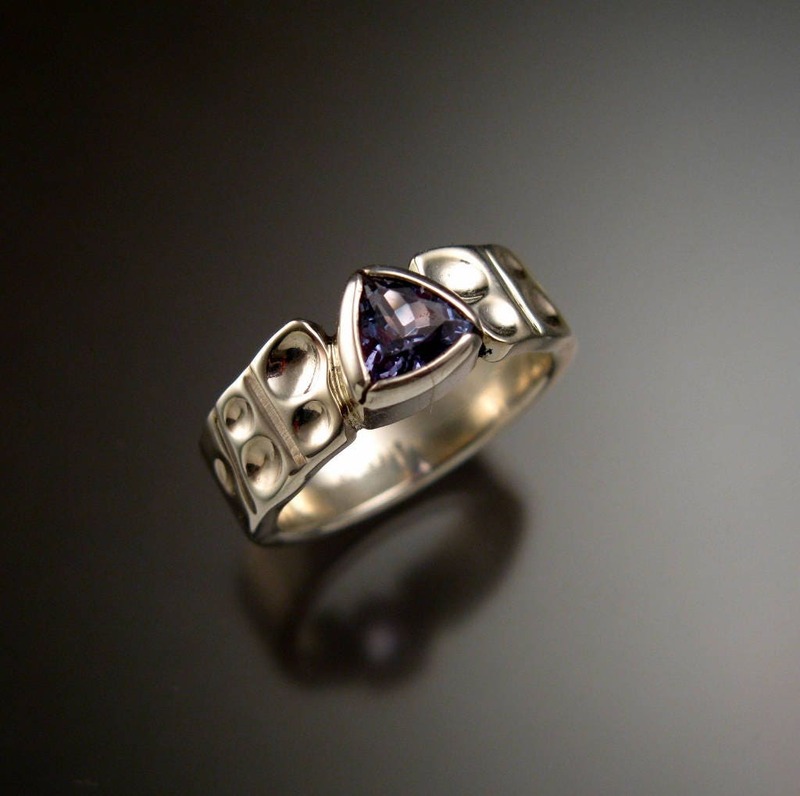 The stone is a natural medium dark purple blue eye clean stone. 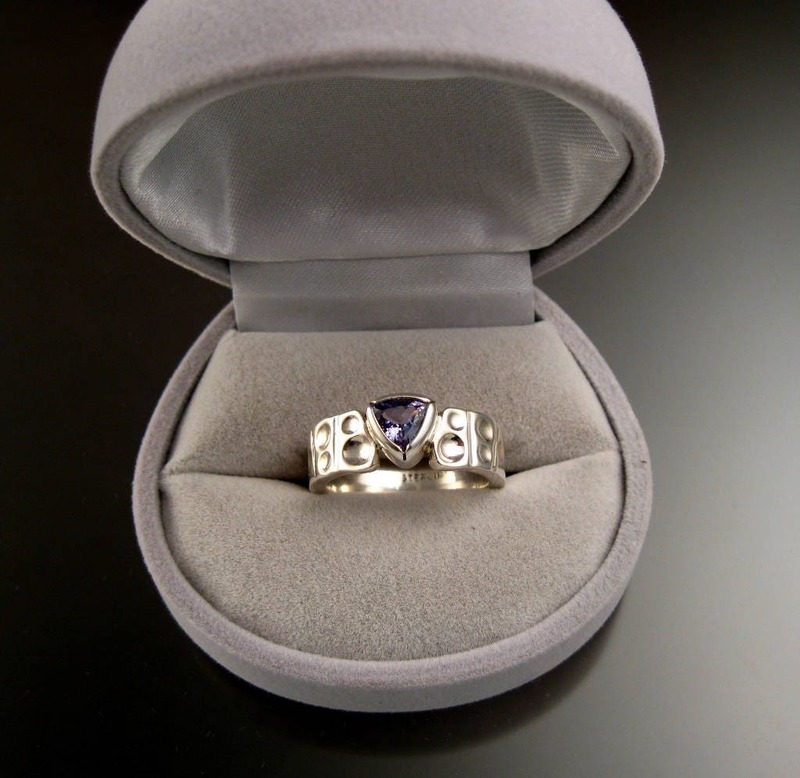 Pictured ring is size 7 for scale reference.